Disguised in meals for those less keen on cruciferous foods or eaten straight out, cauliflower is worth the effort. Cauliflower is one of the vegetables that is especially good at boosting our intestinal defenses, which may lower the risk of inflammatory bowel diseases such as ulcerative colitis, as well as leaky gut. Cauliflower also contains a phytonutrient that acts through the Ah receptors, leads to frontline immune function against intestinal pathogens, and plays a role in boosting immune function. Bile binding—a predictor of how well a food lowers cholesterol—is another of its powers. Like other cruciferous vegetables, cauliflower is capable of providing sulforaphane, which boosts our liver’s detoxifying enzymes. The enzymatic action from eating cauliflower may also protect brain, eyesight, fight against free radicals, induce detoxification enzymes, and help prevent and treat cancer. Cauliflower was found to be protective in people suffering with gout, possibly because of the fiber, folate, and vitamin C, which appear to protect against uric acid buildup and gout. To assure that the enzyme sulforaphane is created, eat cauliflower raw or utilize the “whack and wait” technique: chop the cauliflower and wait 40 minutes—enough time to produce the enzyme—which will then be heat stable. If there is no time, all is not lost! Just sprinkle your frozen or cooked cauliflower with a little dry mustard powder which also encourages the formation of sulforaphane. 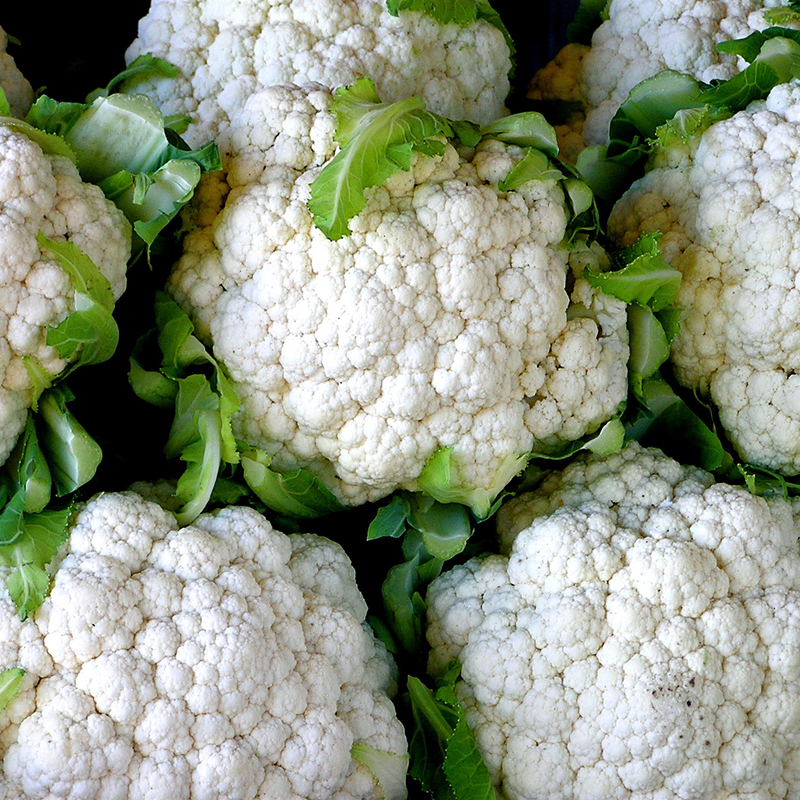 Steaming of cauliflower significantly improves the bile acid binding. Image Credit: Liz West / Flickr. This image has been modified.